The FranticStamper Design Team is taking a holiday break. We will resume posting in the New Year. We wish you all very happy holidays! My friends call me Phin or Phinner. If we met on the street, I’d probably start talking your ear off immediately! I’ll tease you, A LOT, if we’re buddies. I have a lot of energy and have a hard time sitting still. I get on my own case way too often. I like to sweat by running and going to spin class. 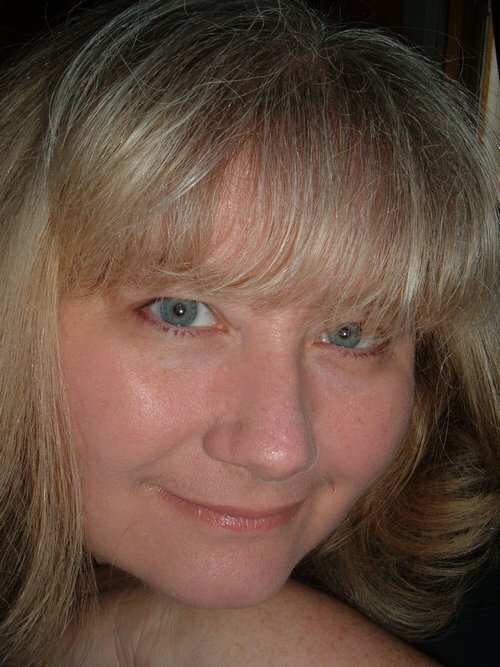 I am obsessed with paranormal tv. I like to wear glitter or black nail polish, exclusively. and during college, I spent most of my textbook money on stamps and ink. I usually work in an 8"X10" space, most of my clothes have paint and glue on 'em. Collage and mixed media, grunge, texture, and layering makes me really, really happy. I like to make and trade ATCs. I especially like to get mucky with gesso, I like sparkly things, and as far as I'm concerned, no work is complete unless it has a spattering of paint or spray ink! 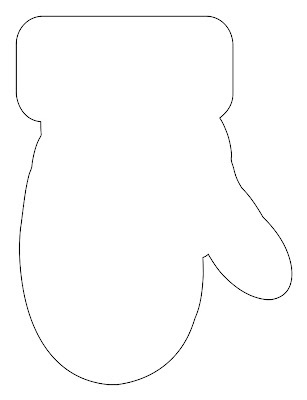 Today we'd like to share a template for a mitten that can be used to make an element on a scrapbook page, can be resized to make embellishments for a card, or can be used to make a card itself. 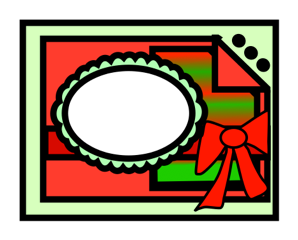 We hope that if you enjoy the template and make something using it, you will share with us.Send a photo of your creation to FranticStamperSketchPhotos@yahoo.com and we will upload it to our blog or share it on Facebook for you. I had really good intentions of scrapping a page from today's sketch, but life (and a new dose of medication that has me seeing double) got in the way. And none of the other DT members could get away from their holiday preparations to make a page, either. I do hope I will be able to get to the sketch soon, though, and if I do, I promise I will share! But don't let our not playing along limit you; we would love to see what you do with this sketch! Just email a photo of your creation to me at FranticStamperSketchPhotos@yahoo.com and I will add it to this post. P.S. The kitty in the sketch is my kitty, Buddy, who passed away at age 16, two weeks ago. 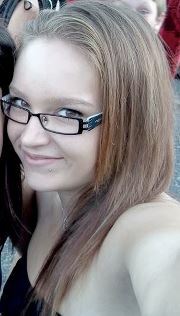 I miss her like crazy. Wasn't she just beautiful? 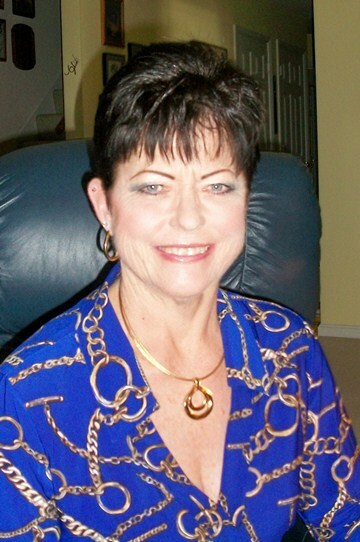 Here is another wonderful project from our former team member, Debi Wind. I think this one just screams winter; don't you agree? 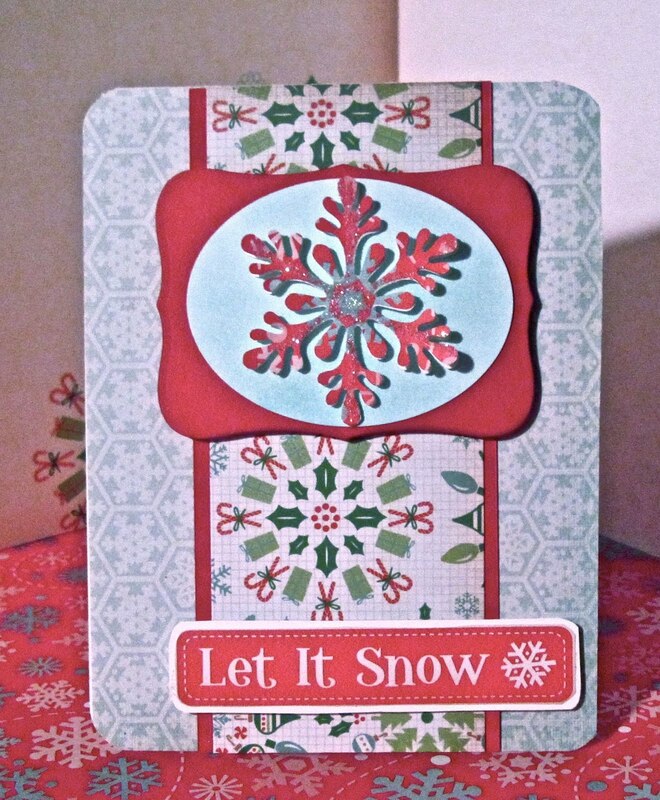 To use this Debi used card-stock from Bazzill (Lisbon, Simon, and Vanilla), Snowflakes and Holly paper by Daisy D, Stamps from Inkadinkado, Azurite Fluid Chalk Ink from Clearsnap, and embellishments from Bazzill and Queen & Co, all available at FranticStamper. Cut Simon cardstock to the size of 5 1/2"X8 1/2", score it and fold in half. Cut pattern paper to the size of 4"X5 1/4" and set aside. Stamp Snowman image onto Vanilla cardstock in Azurite ink, cover with clear embossing powder, shake off excess and heat with heat gun. Trim and layer onto Lisbon and Simon cardstock. Adhere Snowman to pattern paper. Set aside. Run ribbon through Xyron. Adhere ribbon to pattern paper over snowman and anchor to back of paper. Embellish with white poinsettia and blue rhinestone jewel. A few years ago Imaginisce released an amazing tool called the I-Top Brad maker. 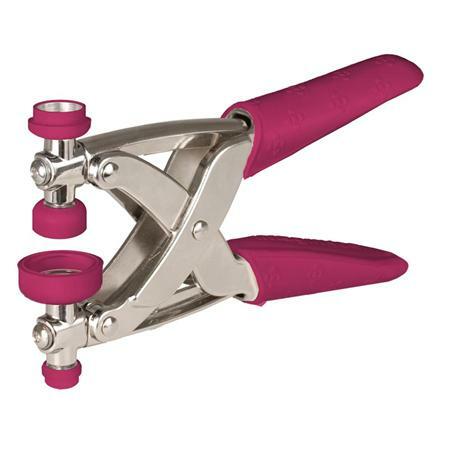 Since then the company has been releasing a variety of accessories to enhance the creativity of this amazing tool. 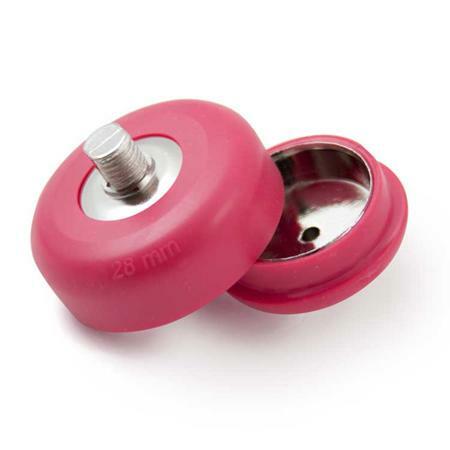 The I-Top Brad maker is easy to use and can create brads, magnets, buttons and badges in 16mm and 22mm sizes. An additional carriage purchased separately will enable you to also create items in a 28mm size. 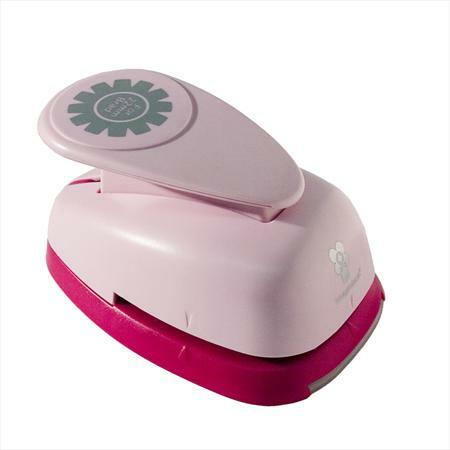 Imaginisce also create punches to punch out the brad toppers so you don't need to hand cut each topper. Rather than create a lengthy document explaining how to use the I-Top tool, this video from the Imaginisce site will show you how how simple it is to create your own brads. If you prefer a smoother more rounded brad then try following this amazing tip to create perfect brads. You can find all of these for sale at the Frantic Stamper store at http://www.franticstamper.com/imaginisce-brads.htm as well as this amazing tool and all its accessories. Finally, I wanted to share some of the many projects that I have created using the I-Top tool. To make this card I drew a rough sketch of a cupcake onto some white card and cut it out. From this template, I created a base with a piece of folded card so that I could make it into the pocket piece and the topper from two scraps of patterned paper. To create my hair tie I made my brad then sewed it to a strip of gathered tulle and sewed this to a hair tie. Finally I adhered in some feather to finish it. The brads make fantastic flower centres and when you use a different type of material then they really pop. I chose to cover mine in a piece of cotton lace, centring the pattern around the brad topper. ￼ Once made, all I had to do was push the prongs through the centre of my flower and voila! Why don’t you try making button badges for your children to wear or even to add to a card as a milestone for the birthday person to wear at their party!! Or perhaps you are a bit like me and love anything to do with stationery and storage? Why don’t you try out the magnetic button and create fridge reminders that help to organise those notes we all love to store on our fridges!! 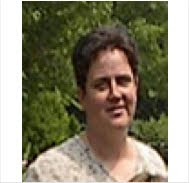 Hi, I am Jennifer, a sahm to two lovely little girls. I have been married for 13 years. Currently, my family and I live in North Dakota with one dog and an unbelievable number of cats (one day I will be known as that crazy cat lady down the road). My favorites include the colors purple and teal, Mexican food, and I love Halloween. I don't remember when I first started paper crafting but I would say probably the late 80's is when I picked up my first set of stamps and it has been downhill from there. I have so many stamps and supplies I could open my own store - and I owe a lot of that to Fran! Every time she advertises her surprise boxes I can't resist picking some up! My can't live without tool would have to be my markers. I find myself gravitating toward them every time I stamp an image to color. I find inspiration usually when I am not looking for it, a sketch, someone's work, a collage sheet or even just a shape. Once that little light bulb comes on I will twirl the thought in my head, searching for the perfect focal image, papers and colors. This is also how I work, pulling my focal image out, matching it with papers I find complements the image and finally coordinating my marker colors. Once I get to work it all falls into place quickly and I often find myself popping three or four creations out in an evening. 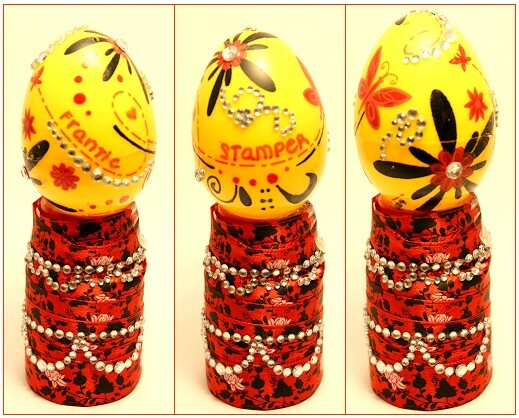 I look forward to sharing those creations with you as part of the FranticStamper Design team! Any ink will work on vellum, but most will need to heat set before working with the stamped image. Always make sure the ink is completely dry before moving onto another step. StazOn Ink works especially well on vellum because it is designed for non-porous surfaces. To prevent your vellum from warping while heat embossing, keep the heat gun moving and waving over the image you are heating. Paper Piercing with a craft needle is a great technique to use on vellum. Any template you have for paper piercing on regular card stock will work, or purchase piercing templates that are made specifically for the art of paper piercing on vellum, sometimes called “Pergamano“. The results can be very dramatic! Be careful not to “crease” your vellum, unless it is intentional. A crease will create a permanent white line on your paper that cannot be undone. The fact that creases turn white, though, is part of what makes embossing on vellum so beautiful. Use a barrel shaped tool (like a pencil or skewer) to curl the ends of your vellum. 2-Way glue works well on vellum and does not show through. Any clear drying glue will work; however, be sure to use a very thin coat. Vellum makes a great template to create stencils. 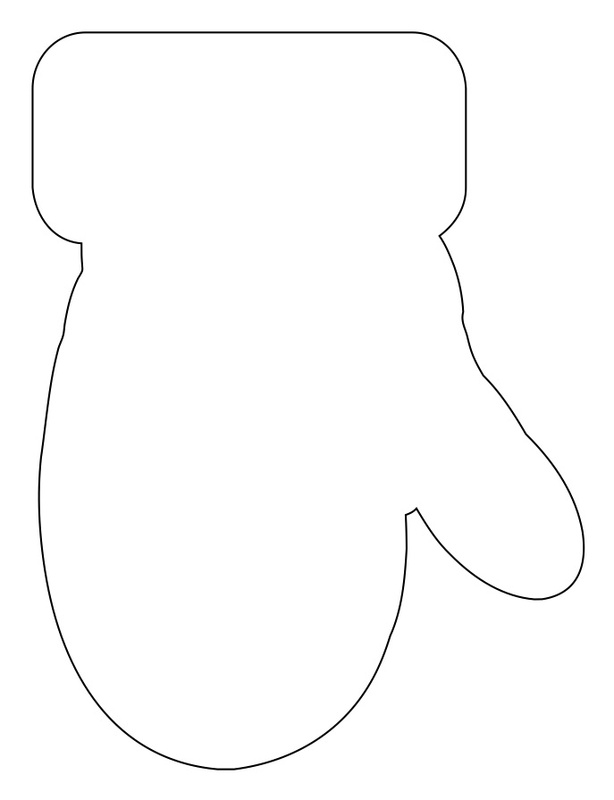 The negative piece left from any shape you punch or die-cut becomes the perfect stencil. Alcohol-based inks do work on vellum, but not in the same way as on porous papers since they don't soak in. Practice on scraps before coloring your project, especially if you want to blend colors! Coloring vellum on the "wrong" or back side of your project gives a wonderful softly-colored image on the right side. Just be sure that whatever you are using to color doesn't warp the paper and that it is completely dry before you move on to your next step! Vellum can be embossed with embossing folders with absolutely stunning results. However, care should be taken to prevent tearing the vellum. Emboss the vellum between two sheets of text-weight paper or lightweight card-stock. Experiment with your particular folder and die-cut machine with scraps before embossing your project. Hope you will give vellum a try. FranticStamper currently carries a few beautiful printed vellums and has plans to add plain vellums to its many lines of wonderful papers, in the near future. Today we have a sketch for a multi-layered card with a folded down corner. We hope you will find of help in getting those final holiday cards made. Or if you are done with the holiday cards (I wish!) just ignore the color scheme of the sketch and make a card for some other occasion! Once again some team members (and future team members) have jumped in to make cards inspired by the sketch and would like to share them with you. First up, a wonderful card by Sharon Jeffs. And next up we have two cards using Riley and Company stamps. FranticStamper is pleased to announce it will soon be carrying the complete line of Riley stamps in cling mount format! For a Riley lover like me, that is wonderfully fabulous news! To celebrate the new line's arrival, I made a card using a stamp that I actually inspired! Here is Riley in his nightshirt with Milo the mouse in his, too. No one was stirring save Riley and Milo Mouse. The evening was closing with still much to do! The stockings were washed, but they were still wet! But Christmas wishes were still wished for all he holds dear. So if our card gets to you late we hope you won't mind. for a Merry Christmas and a New Year with happiness galore! And then we have a wonderful card from future team member Isabelle Drouin-Vachon. 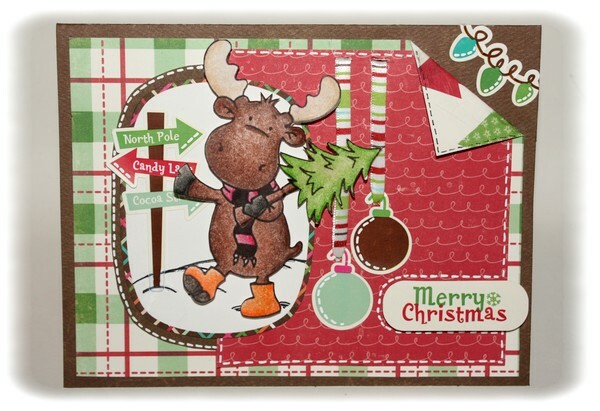 She used an older Riley stamp, with Riley and his Christmoose tree. The team hopes you have enjoyed the cards we have shared today! Happy holidays to you all, and happy stamping! 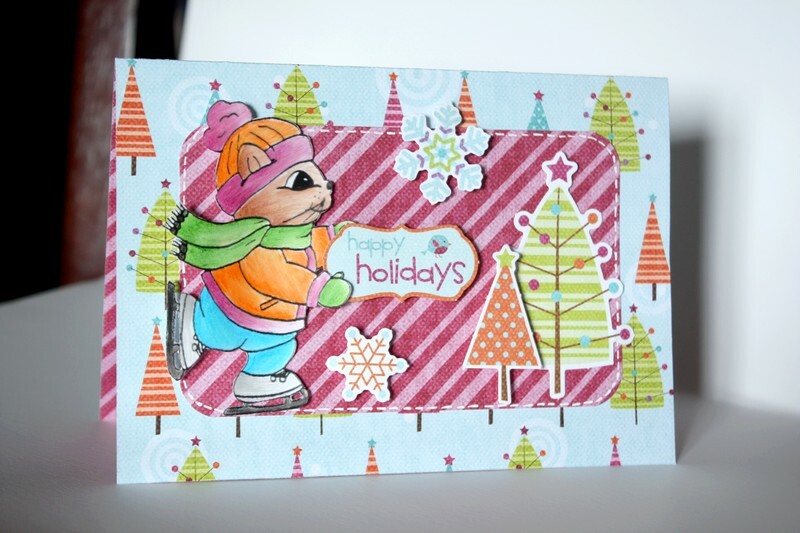 Today's project comes to you from Jane Larsson who was selected to be a FranticStamper Design Team member for 2012. We love her work and thought this project just had to be shared! Every year Michael (my husband-to-be) and our boys makes the best Christmas Toffee in the whole wide world :-P This year I decided to give some of it away, in cutely decorated cellophane bags. The base is a piece of Bazzill cardstock, scored in the middle. I used a stamp called Sleepy Santa (DoodleFactorys “Tis the Season”) colored with Copic Ciao pens. 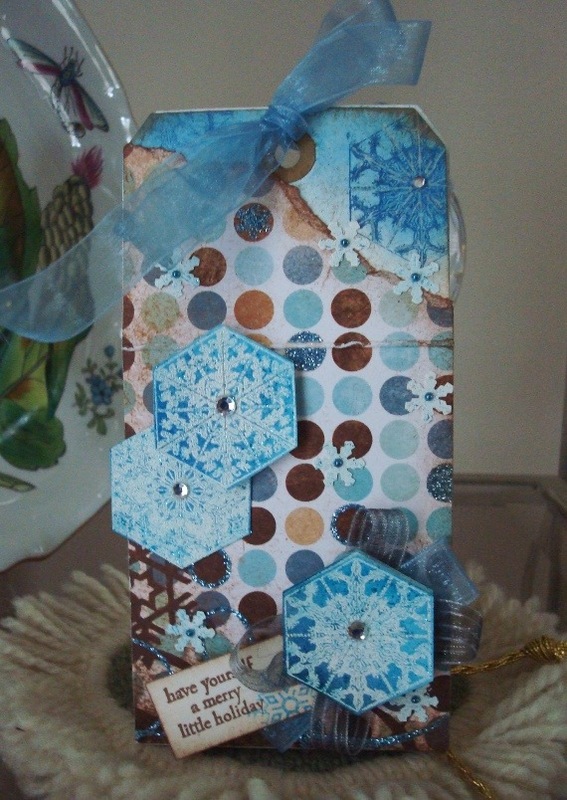 I also used Kaisercraft December 25 6"x6" Paper Pad and Micro Mono Stickers from the Basic Grey collection Curio. I am totally in love with the Dec25-collection!!! Every single paper and deco is simply beautiful, don´t you think? 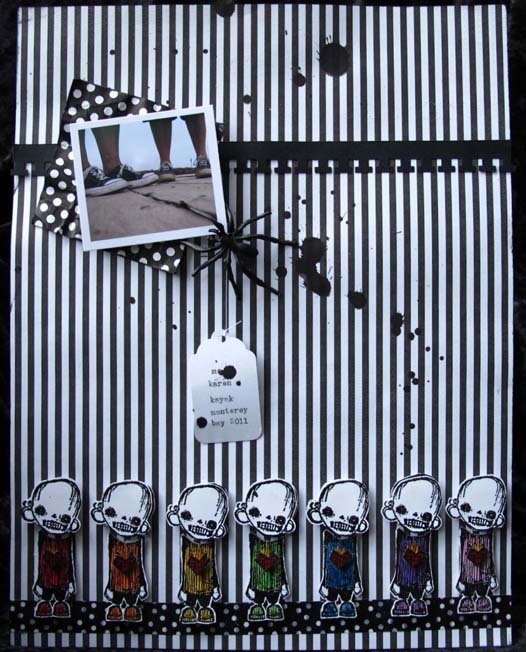 I stapled the bag and deco together with one of my favourite tools: Tim Holtz Tim Holtz Tiny Attacher. Simple and easy, but so much more fun to give it away like this. It seems like there is always someone on our holiday shopping list that we end up buying a gift card for. If you are like me, you want to present it to the recipient looking just as pretty as a wrapped gift box. I made this shabby looking gift card holder using TWO manila tags. To give myself some space to insert the gift card, I added 1/2“ accordion pieces to the sides and bottom of the tags. This creates a space between the two tags. You can fill it with tissue or a wrapped gift card. 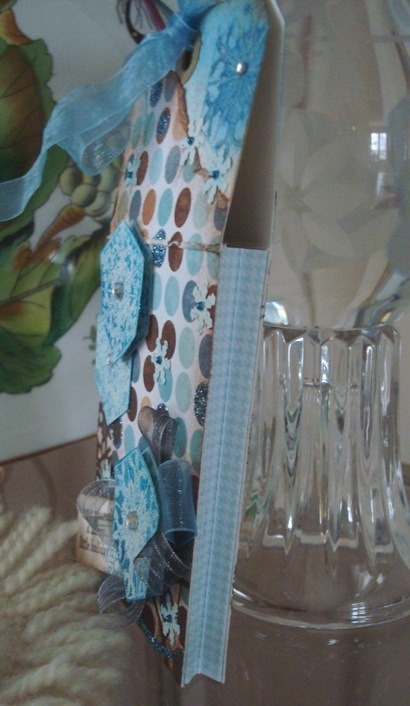 Suggestion – this can be made with wider sides to hold small gifts too. Here is what the gift card holder looks like from the side. 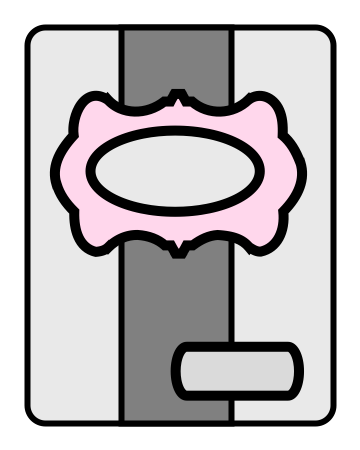 Accordion sides were added, and the top portion of the tag was scored so that it could easily be tied together at the top. I covered both tags with glittery paper from the Snowfall collection by Bo Bunny. I chose a paper that already had a glittered flourish pattern on it. 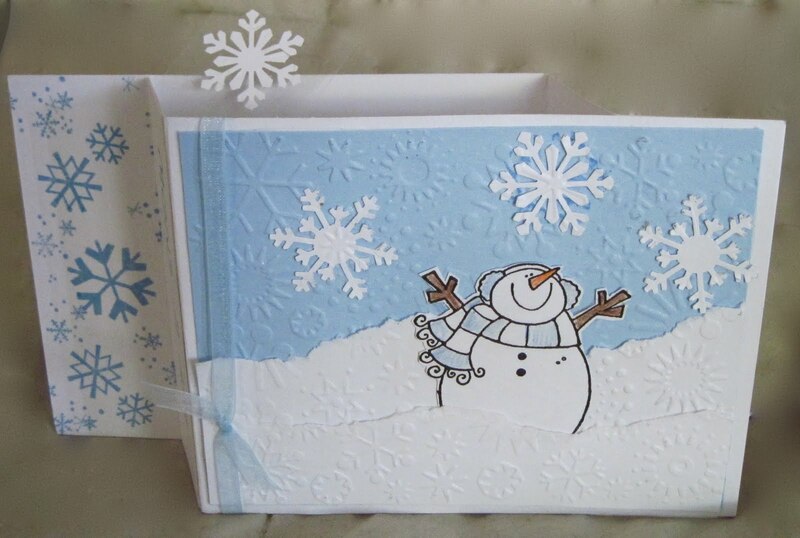 Next, I stamped the snowflakes using stamps from the Frantic Stamper line of rubber stamps. I embossed these snowflakes in white and inked them afterwards with shades of blue ink. I added a thin layer of glitter glue to the snowflakes. This made them sparkle all over without being overly glittery. I attached them to the front of the tags - some double layered for added dimension. I embellished the tags with clear rhinestones, sheer ribbons, and small punched mini snowflakes. Lastly, I stamped a Christmas sentiment, trimmed it into the shape of a mini-tag, and tucked it beside the ribbons and a snowflake. I think this is a beautiful way to give a gift card. Someone in my family with be finding this hanging from the Christmas tree on Christmas morning! I wonder who it will be??? My name is Isabelle Drouin-Vachon! I come from St-Georges, Quebec, Canada. I'm 21. I have been married for two wonderful years and have two beautiful little boys who are not quite 2 years. I also have a dog that we call Marley! He is a boxer, a real big baby. He will be 3 years old in April. For now, I'm a stay-at-home mom because I am still in school full-time; it gives me the opportunity to practice my passion and spend as much time as possible with my children. I love doing family activities. Of course I also like going out with my husband, just to spend time alone together. We regularly go out together to eat the food I love most in the world ... shrimp! YUM! Anyway, I have been doing scrapbooking for about a year. It became a passion when I started looking here and there throughout the internet for articles on Scrapbooking. I quickly became addicted. For cons, I still have a lot to see and learn. I try to go day by day and explore to learn and get the most out of everything for my art! In my work, I love using vibrant colors. I love Clean & "Free" styles. In my projects, I like to use flowers .. that's what I love most ... If I could, I would use them all the time! But since I have two little boys, I have backed off a little. I must say that I quickly became addicted to the FranticStamper store. The products Fran offers are so diverse! Not to mention all the specials available every month and closeouts. 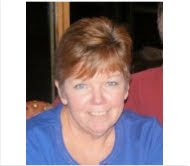 Fran is truly a top-notch owner and her store will easily inspire any creative team’s efforts throughout the years. I am very pleased to be part of the new creative team at FranticStamper. I'll make sure to make you see all my fabulous colors and to share my personal touch to help to get you out of your comfort zone! I am looking forward to sharing my creations with you on the Blog and chatting with you on Facebook. Here is to the new year! 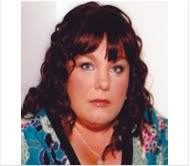 Je m’appelle Isabelle Drouin-Vachon ! Je viens de St-Georges, Québec, Canada. J’ai 21 ans . Je suis marié depuis déja deux merveilleuse année et j’ai deux beaux petits garçons qui ont moins de 2 ans. J'ai aussi un chien qui s'apelle Marley ! C'est un boxeur, un vrai gros bébé.. Il aura 3 ans en avril . Pour l’instant, je suis maman à la maison car je suis encore aux études a temps plein, cela me donne donc l’occasion de pratiquer ma passion à fond et passer un maximum de temps avec mes enfants. J'adore faire des activités en famille. Bien entendu j'aime bien aussi faire des sorties avec mon mari, histoire de passer un moment seul ensemble. Nous allons régulièrement manger au restaurant ensemble. Nous allons manger la nourriture que j'aime le plus au monde ... des crevettes ! Hihi..
Enfin bref, je fais du scrapbooking depuis environ 1 an. Je suis devenu une passionné lorsque je me suis mise à regarder ici et là dans tout les forum qui avait comme sujet le Scrapbooking. J’en suis rapidement devenu accro. Par contre, il m’en reste beaucoup à voir et à apprendre. J’essaie d’y aller au jour le jour et d’explorer le maximum de chose ! Dans mes créations, j'adore utiliser des couleurs vivantes. J'aime beaucoup le style ''Clean&Free''. Dans mes projets, j'aime beaucoup utiliser des fleurs.. c'est ce que j'adore le plus... Si je pouvais, j'en collerai partout ! Mais étant donné que j'ai deux petits garçons, je m'abstien un petit peu. Il faut dire que je suis rapidement devenu accro de la boutique frantic stamper. Les produits que Fran nous offrent sont tellement diversifié. Sans parler de tout les rabais qu'elle rajoute à tout les mois. Fran est vraiment une propriétaire Hors-Pair et ainsi que toute sont équipe créative qui l'accompagne durant toute l'année. Je suis très heureuse de faire maintenant partit de l’Équipe Créative de Frantic Stamper. Je vais m’assurer de vous en faire voir de toute les couleurs et aussi de vous amener ma petite touche personnelle afin de vous faire sortir de votre zone de confort ! Au plaisir de jaser avec vous et de voir à mon tour vos créations. Rather than our "traditional" tips, today we are just going to list some of our favorite non-crafty items that we have used on our altered items, scrapbook pages, cards, etc. We hope you will comment with YOUR favorites to add to our list! 4. Earrings who have lost their partner! 5. Paper clips come in tons of fun new shapes that make great embellishments for projects, and are functional, too! 6. Staples come in lots of fun colors (or can be colored with alcohol inks) and can be a fun accent. 7. Paint chips. Use as backgrounds; do art directly on them; run through die cut machine; etc. 8. Go to the garage or the hardware store - nuts, washers, fishing swivels, chain, springs, wire, metal flashing, knobs, etc. are all fun to use on your altered art! 9. Sandpaper is perfect for a beach scene. 10. Netting from bags of onions, burlap from potato sacks make great accents. 11. 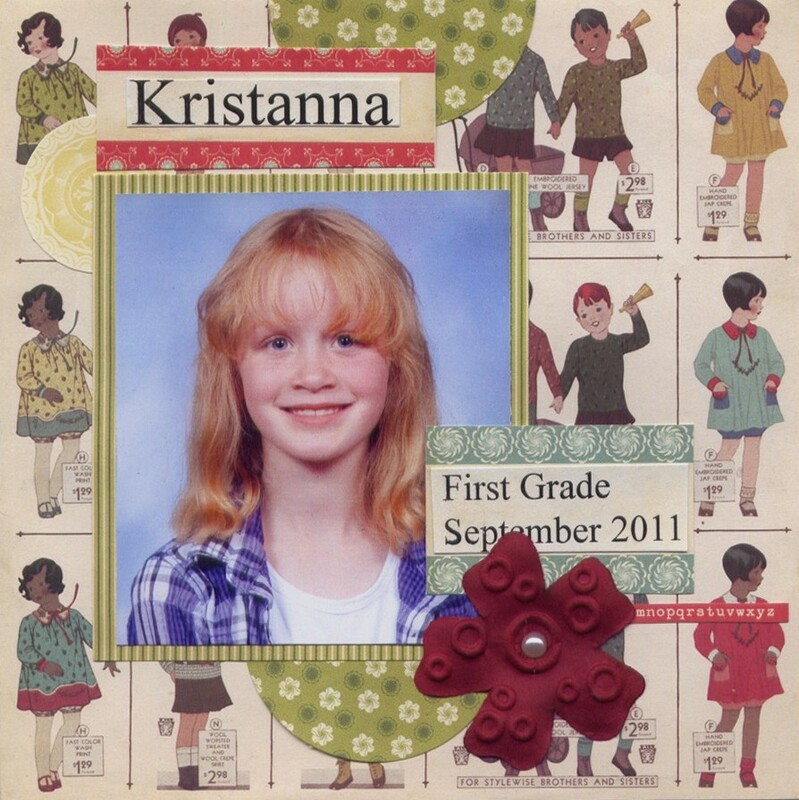 Drywall tape makes a great accent on a page or a card. 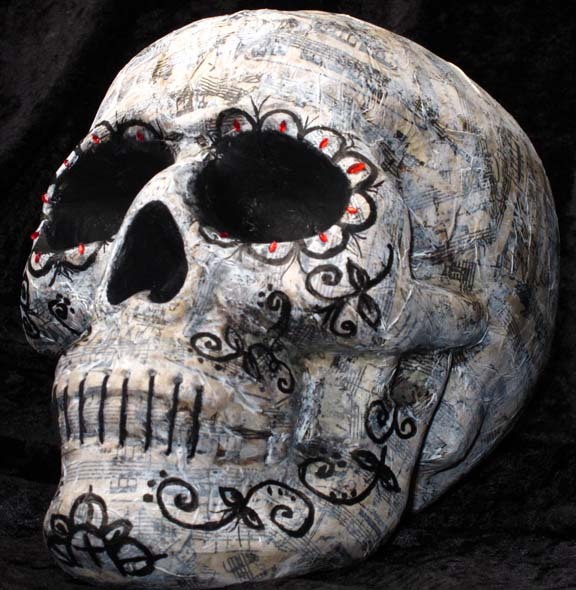 So what are YOUR favorite non-crafty items for use in your paper crafting? I have got to get going on making cards for Christmas, so I am making the sketches all about cards these days. I know I am way behind on them, but I have hit a little rough patch personally, so I am having a hard time getting going. But I did manage to make one card using today's sketch. I challenged myself to create the entire card with no stamping. I like what I came up with, and I am one card closer to the 100 I need to make. I tend to be pretty literal with the sketch the first time I make a card with it, so here is my sketch card. Current (and future) Team member Sharon Jeffs and future team member Jane Larsson also made cards from the sketch. First I will share Sharon's. I just love the silver panel in the center and her interpretation of the sketch's rounded rectangle is just beautiful, don't you agree? And here is Jane's card. I love the layers she did on the center panel and the card's focal point image is perfectly presented with the little red frame. 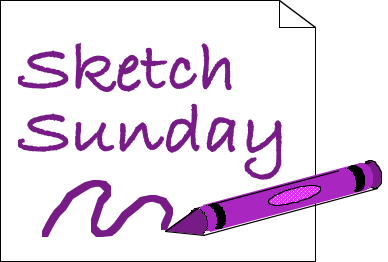 The Design Team would like to challenge YOU to make a card using this sketch and share it with us. 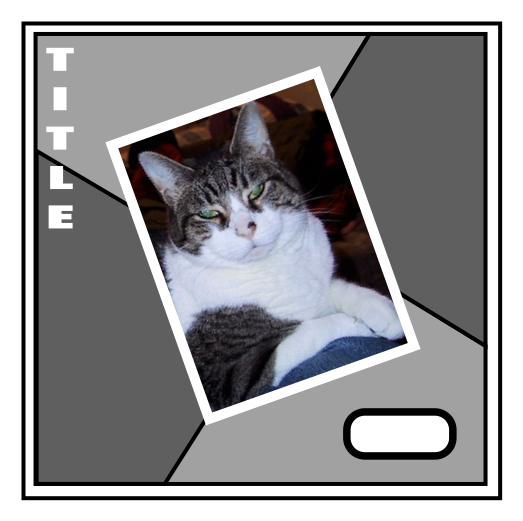 Send a jpg or png photo of your card to FranticStamperSketchPhotos@yahoo.com and I will try to add it to this post. I have a thing for snowmen. I absolutely HATE real snow, but I just adore snowmen! I don't believe I have ever seen a snowman I haven't liked! And since I like snowmen so much, I have a hard time walking away from a snowman stamp! 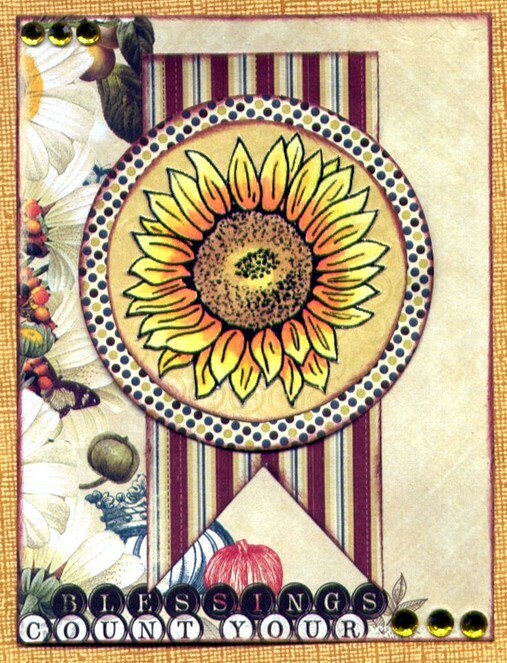 The one I used on this card is one of my all-time favorites, and was made by Penny Black. Frantic Stamper has a wonderful assortment of snowman stamps, both rubber and acrylic, from several different companies (and I think I own most of them! LOL! ), and just about any one of them would be suitable for use in a card like this. This card style is known as a wiper card because of the little pop-up mechanism that swipes up with the motion of a windshield wiper when the card is opened. For my card, I used a piece of acetate to make my mechanism and added a punched snowflake to it. It makes it seem that the snowflake is suspended in the air. 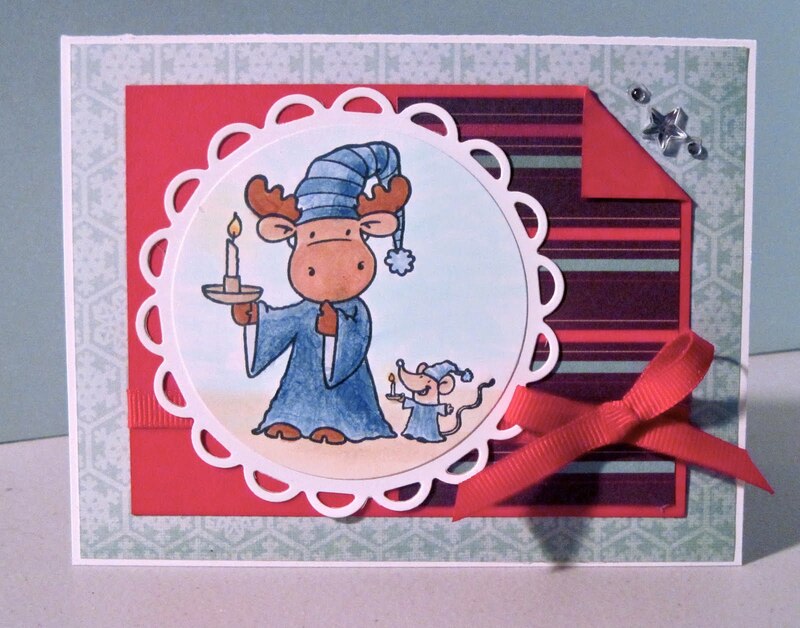 If you would like to learn how to make this card, you can get an instructional PDF at this link. Did you know that EK Success, Inkadinkado, K&Company and Martha Stewart Crafts are all owned by the same parent company? Wilton Brands owns them all, and other craft product producers, too! Today FranticStamper would like to share a video from each of the paper crafting companies listed above. 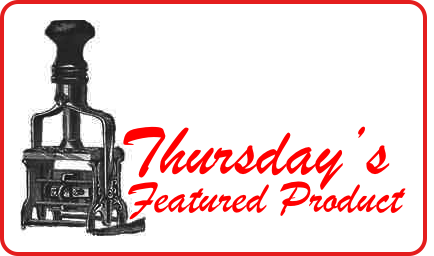 We hope you will enjoy them all, and will shop FranticStamper for your Wilton Brands products. First up is a video with some beautiful ribbon weaving techniques using EK Success edger punches. Next is a video about the new fabulous cling stamps from Inkadinkado. If you love rubber, you'll love these stamps! And last, but by no means least, we have a video on using Martha Stewart Around the Page punches in creative ways. Enjoy!